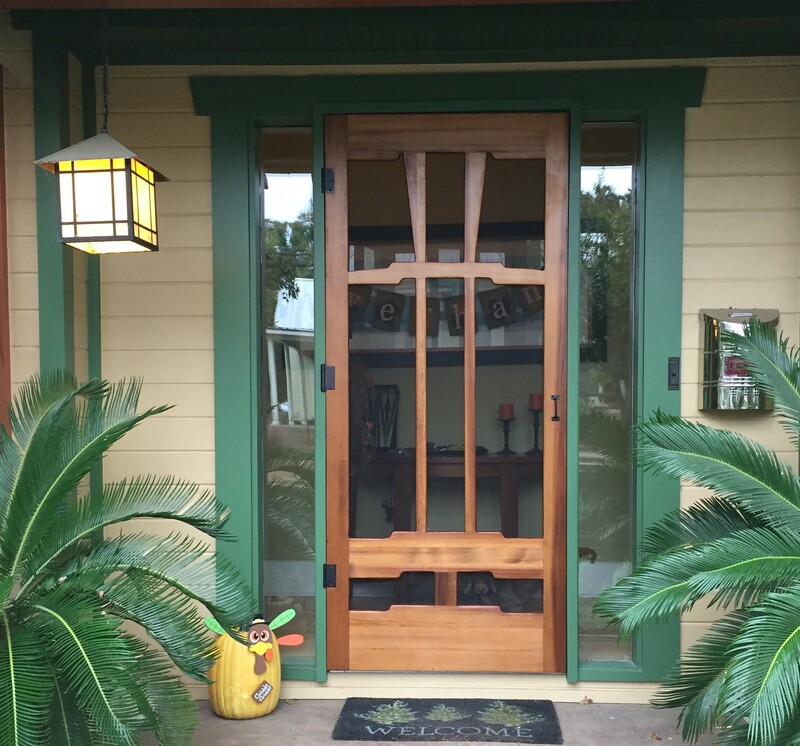 Hand crafted Cedar screen doors on sale now! One of a kind cedar screen doors for your screened in porch or entry. Cool off and decorate your home with a cedar wood screen door hand made in Northern Idaho. 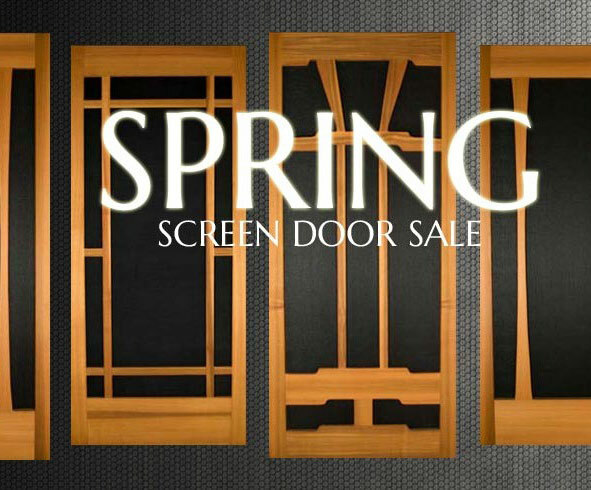 Handmade Cedar Screen Doors at their lowest price of the year! Welcome to Mountain View Woodworks! We are celebrating our biggest year yet with new designs and products. Now that Winter is almost over it is time to start thinking of those summer projects by adding a hand crafted cedar screen door to your home or screened in porch. 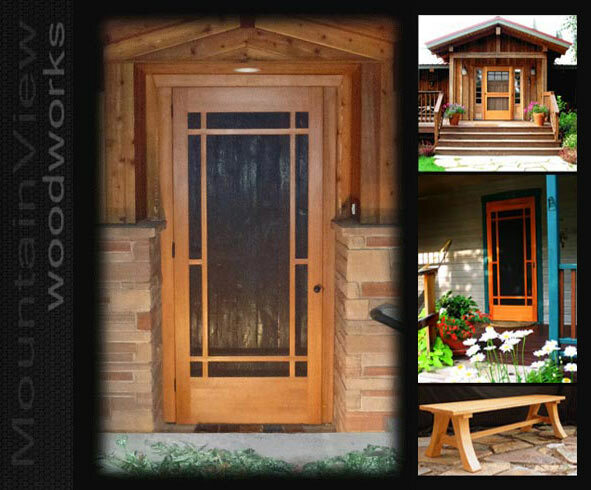 Each and every screen door or product made at MVW is a piece of art and made from only the highest quality materials. For our custom solid wood screen doors we meticulously hand pick every piece so we can color match each piece of wood that goes into making your door and make sure you are getting only the highest quality product. Our custom wooden screen doors are truly one of a kind and built to last!! What do we mean by custom screen door? Well, if you have an opening that is standard or not, No problem! We can build to your specifications because each one of our screen doors are built per order. This is also good news for installing the Screen door because you will not have to cut the door down to size to fit your opening. Just let us know the exact opening and we will do the rest. Simple. Just order your door by adding it to the cart and let us know the size you need for your hand crafted cedar screen door in the order notes section at the bottom of the info page. If you have more questions or concerns make sure to email us at the email address below. Please keep checking in for new screen door designs coming this summer and remember if you have any questions or concerns for your custom wood screen door email us at mountainviewwoodworks@gmail.com and we would be happy to help. Disclaimer: Sales are only good for doors shipped in the continental U.S. Finish is not included in sale of door. Hardware is sold separately for doors other than the Craftsman designs. beautiful & unique cedar screen doors handmade in the mountains of North Idaho.